Another beautiful ring for the girl who loves Princess Cuts. 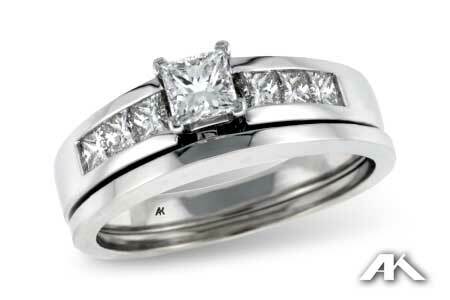 The center of this ring is a .34ct Princess Cut diamond safely set in chevron cornered prongs. Princess cut diamonds set in channels add sparkle to the shank of this ring.